Galco's Summer Comfort holster is an ideal conceal carry holster for all seasons. 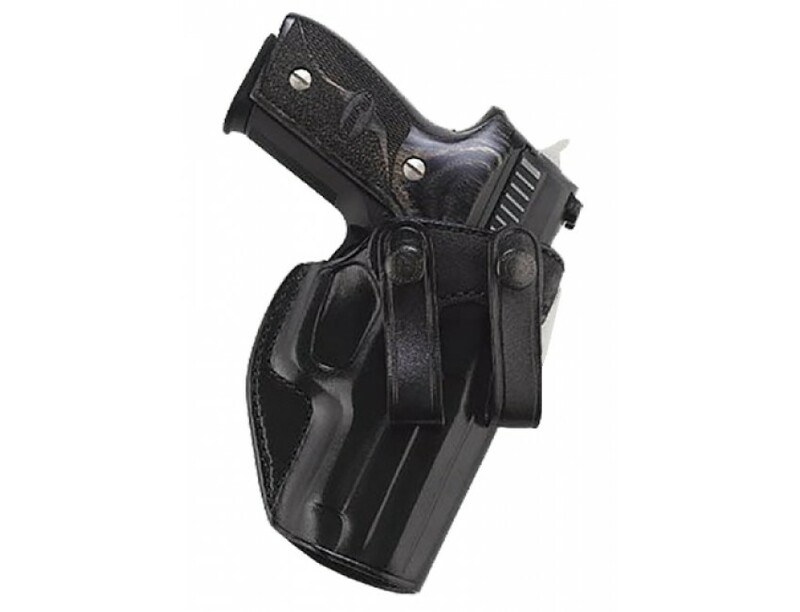 It is lightweight, comfortable, and features an snap-on design that allows the holster to attach and detach form your belt without taking off your belt. The reinforced steerhide leather construction retains its shape when the handgun is removed and its smooth-out leather rides comfortably against the body. Included is a full combat grip or a quick and sure draw.This model has a black finish and is compatible with Glock 17/22/31; Ruger Security-9.